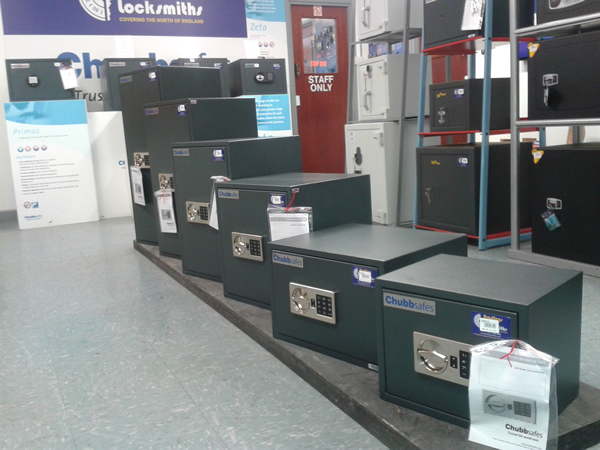 New to Bradleys showroom is the Chubbsafes Professional range of safes offering £4,000 overnight cash cover. The range is available in 6 sizes and can be locked by either key or electronic lock. Standard colour is graphite grey. Ideal for cash but valuables such as watches, jewellery up to £40,000 can be safely stored in the safes and still be covered by your insurers. These lightweight safes are ideal for home use and can be fitted up or downstairs onto the floor or wall via the rear and bottom fixing holes. Special deals are available – call in soon and ask for details.